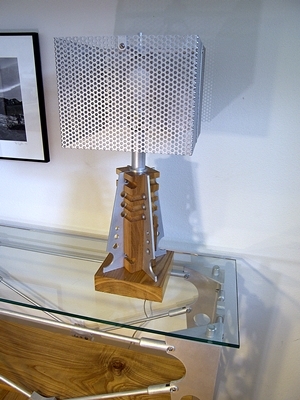 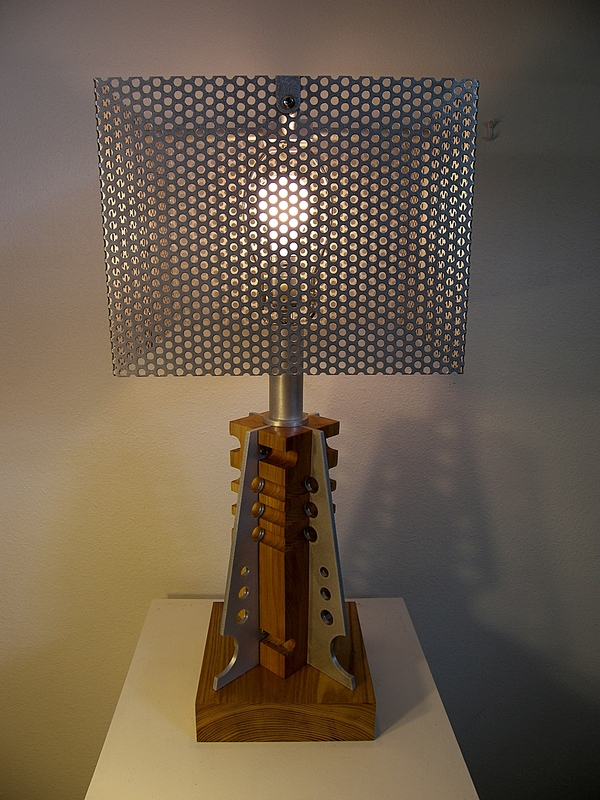 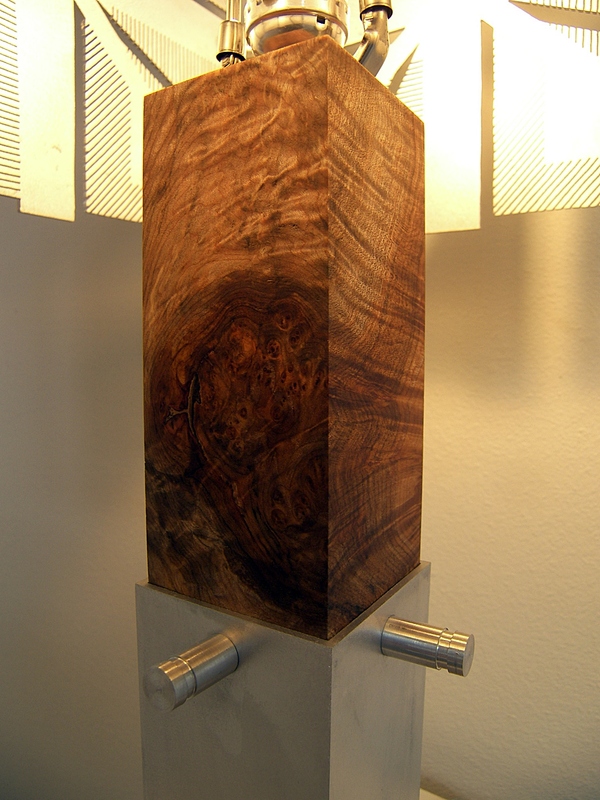 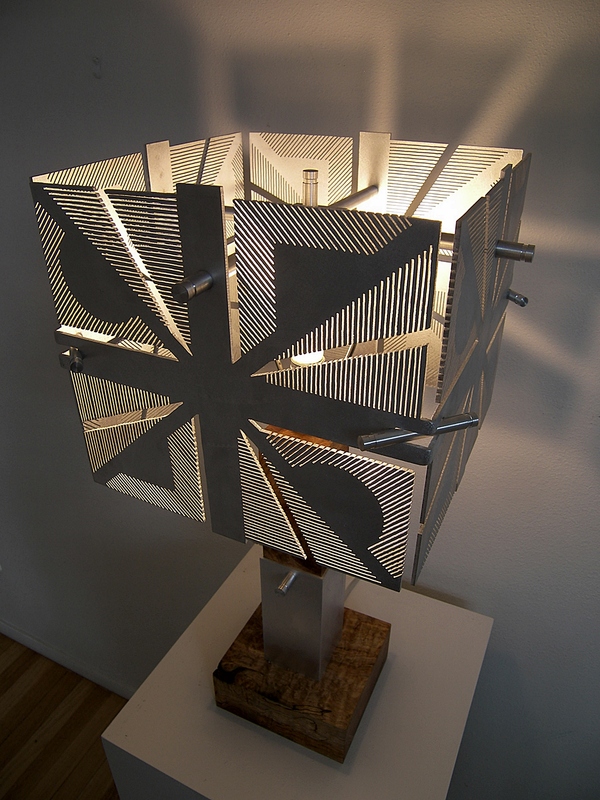 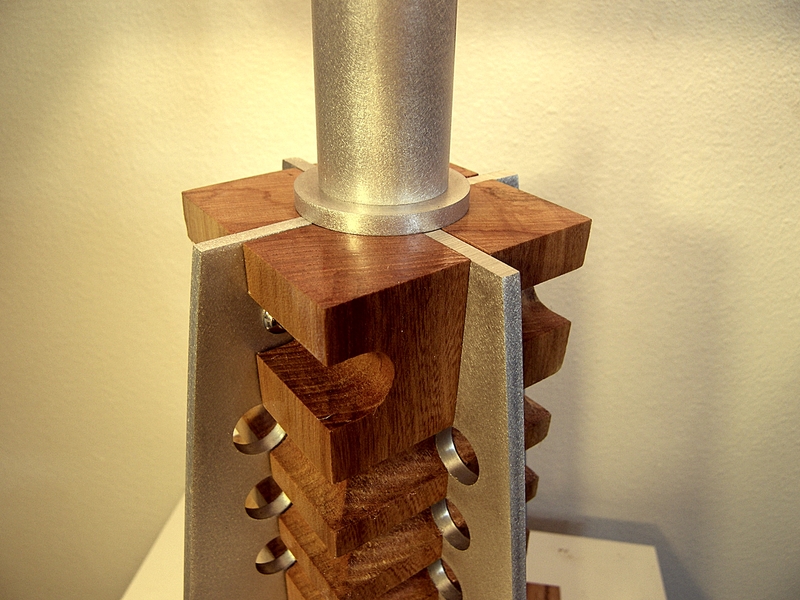 This lamp plays the geometric elements of the metallic uprights against those of the red elm body in an elegant design. Florida and was intended to compliment the table also made for him. 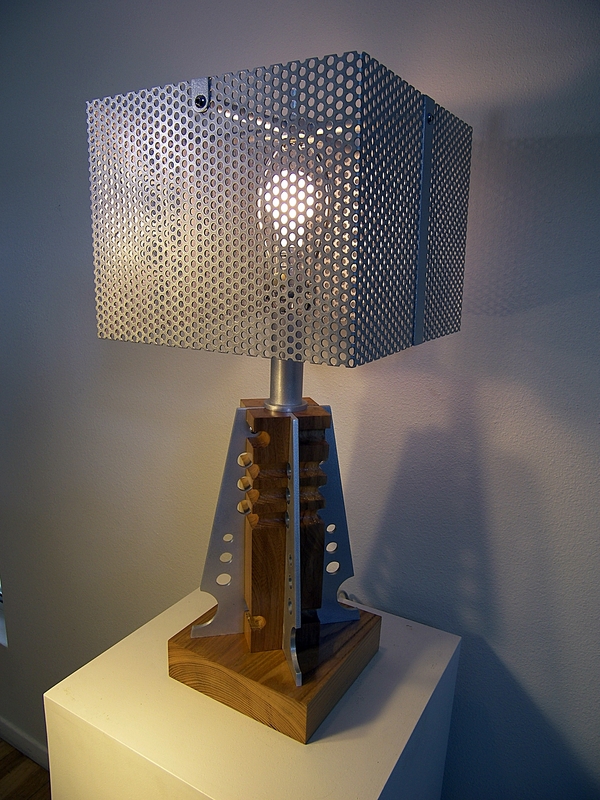 "Life isn't a matter of milestones, but of moments."